Blossoms in NYC: In the past two weeks, we facilitated 596 Acres’ summer workshop (photo above and here) and the community land access workshop at NYC Real Estate Investment Cooperative’s July meeting (photos here and here; slides here; you can become a member-investor here, or sign up for the monthly newsletter here). Thanks for bringing your knowledge and power! See what’s flowering and get involved in campaigns for community land/building access via the News from the Organizing Acres and Collaborators sections below. Last Sunday’s NYTimes story on immigrants growing diverse, delicious food in our neighborhoods celebrates that 52 new community gardens registered with GreenThumb since 2009! 596 Acres was instrumental in helping communities create 36 of them out of vacant lots. NYC, we are so happy to help you access space that you and your neighbors make flourish! Growing our land access advocacy network: This Tuesday, we’re joining Scenic Hudson and its network of land trusts and land banks to build capacity for community land access in cities along the Hudson River, north of NYC. We will share strategies for supporting folks best poised to lead and sustain stewardship of land in our cities – that is, the folks who live nearby! Event information here. Find out more about the cross-pollination of our land access advocacy network and how to bring our tools to your city here. Dispatches from our team: Our new Director of Development, Rachel Dobkin, shares her motivations here! Community advocacy intern Hannah Foster lets us listen in to the Windmill Community Garden Grand Opening and Block Party here. Groundtruther Tim Nottage sheds light on the once-thriving, now abandoned gazebo bandshell in Poe Park near Fordham, the Bronx, that local advocacy can reopen here (to plan its future, sign up to Organize at livinglotsnyc.org/lot/59324/). Here’s a portrait of our awesome summer team. Thanks y’all! Poe Park’s Bandshell is just one new dot on our map of unused Parks buildings = opportunities for neighbors to co-create places you want and need. Another here. Organize and/or ID more! Brownsville, Brooklyn – Isabahlia Ladies of Elegance Foundation is organizing for access to stable indoor space for their neighborhood strengthening programs, which range from running several community farms and farmers’ markets (including Green Valley! ), to cooking classes for youth, to computer classes for seniors. They pitched to the NYC Real Estate Investment Cooperative (NYCREIC) last week (photo here; starts on slide 28 here) and left with a list of member-investors who want to help develop their campaign to transform an abandoned, tax-delinquent warehouse near them into this hub! For an invite to their next planning meeting, email mara@596acres.org or call (718) 316-6092 X3. Bedstuy, Brooklyn to Long Island City, Queens – Meet next Saturday, August 12 at 11:30am at 462 Halsey Community Farm (at Lewis, Bedstuy) for a Food Waste Reduction Bike Ride ending at Smiling Hogshead Ranch (25-30 Skillman Ave in Long Island City). We will see how the EPA’s Food Waste Reduction Hierarchy is implemented in NYC: visit local food distribution and recovery projects, urban farms and gardens, community composting sites, freegan dumpsters, and an industrial food waste processing site (map here). Total ride is approx. 9 miles. RSVP here by next Wednesday, August 9. Brownsville, Brooklyn – Catholic Charities is moving forward with the demolition of the historic Our Lady of Loreto Church on Sackman between Atlantic and Pacific, even though it breaches the contract they signed with NYC Housing Preservation and Development as a condition for accessing financing for their nearby housing (contract here)! Brownsville Cultural Coalition is organizing to stop the demo and transform the incredible building into a community-stewarded cultural hub, which they pitched to the NYC Real Estate Investment Cooperative last week (photo here; presentation slide 38 here). Stay tuned for next steps to save the church: sign this petition for landmarking (read how Brownsville deserves landmarks, too! ), and be sure to check the box for campaign email updates. Like the group’s facebook page here, too. 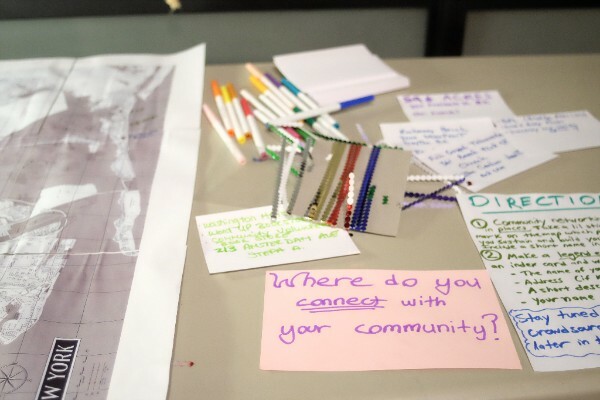 Inwood, Manhattan – As NYC makes moves to sell the Inwood Public Library via a Request for Proposals, the Northern Manhattan Community Land Trust is organizing to create a community-based plan for its future! They pitched this vision to the NYC Real Estate Investment Cooperativelast week, which its member-investors might vote to invest in. Check campaign progress on their facebook page here and sign this petition here! 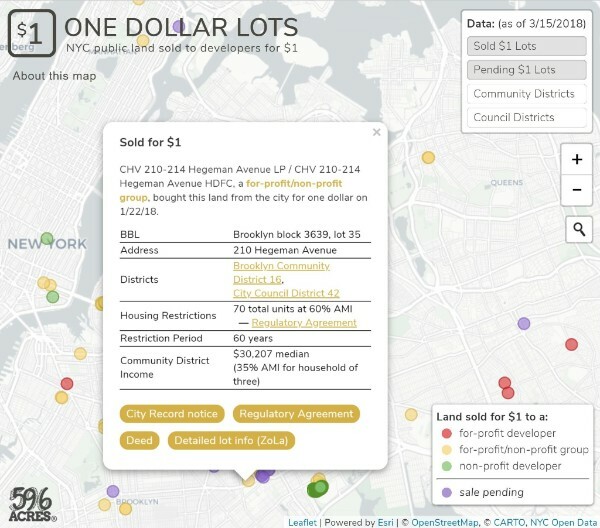 We are thrilled to see resources heading to the community land access advocates who have been championing community land trusts (CLTs) across NYC! Read about it here and from our collaborators Picture the Homeless here. We stand ready to continue providing support for organizers who have been leading CLT advocacy in Edgemere, resulting in its inclusion in the City’s Resilient Edgemere Plan (read more here). Thanks everyone. Towards manifestation! Gowanus Canal Conservancy is hiring a Development Director to oversee and grow a comprehensive fundraising strategy and build greater public awareness of their mission and vision: stewarding the Gowanus Canal Watershed. More information and how to apply here. 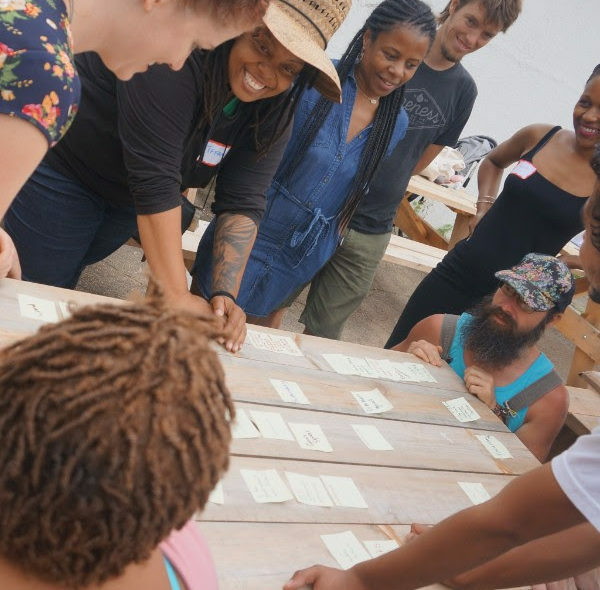 New Economy Project is hiring a Community Organizer to help build a grassroots movement for economic democracy and racial and economic justice in NYC. You will play a key role in an emerging campaign to create a public bank for NYC. More information and how to apply here. 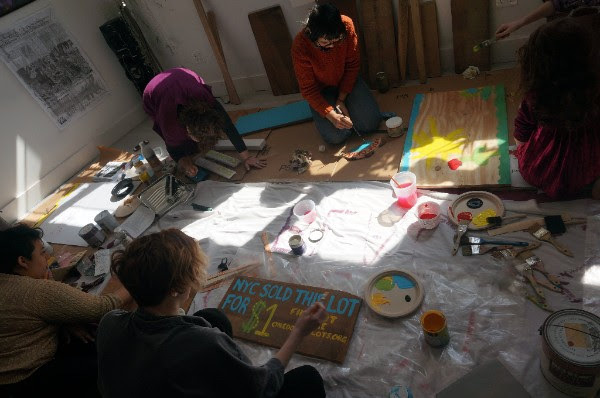 Brooklyn Arts Council invites individual artists, collectives, and small nonprofit organizations to apply to their Community Arts Grant. Get up to $5,000 for arts and cultural projects taking place across Brooklyn in 2018. Attend one of these information sessions this month. Applications due September 20. More information and how to apply here. 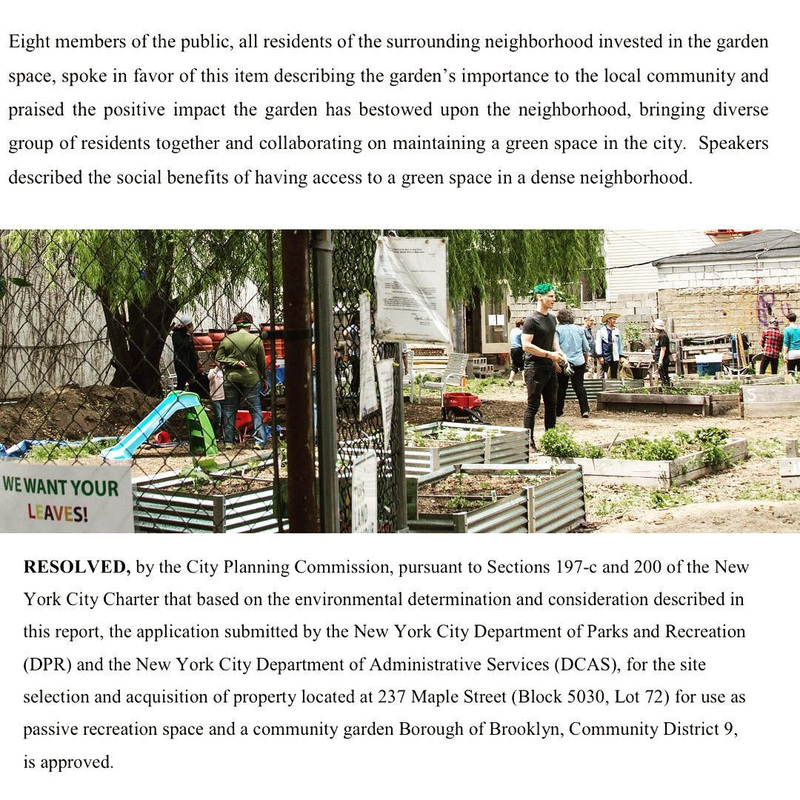 The NYC City Planning Commission voted YES to NYC Parks’ proposal to acquire Maple Street Community Garden last week! This results from a multi-year community land access advocacy campaign supported by 596 Acres to protect this Prospect Lefferts Gardens, Brooklyn neighborhood institution. Read the advocacy story here and the announcement in the paper here. Thank you to Maple Street Community gardeners, Council Member Matthieu Eugene, Borough President Eric Adams, NYC Parks, and our founder Paula Z. Segal (now at #EquitableNeighborhoods of the Community Development Project) for protecting this resource! Join Maple Street Community Garden (between Rogers and Nostrand) tomorrow, Saturday August 5 from 2pm to 5pm for a summer potluck! Event information here.